Classes are a safe space, where students can freely follow their impulses and passion. They are kept relatively small so the work can remain intimate, with each class divided into exercise work, followed by scene and monologue work. You will be able to work in every class. If you have a scene, you do it, if you have a monologue you do it. The classes are freeing, active, and invigorating! Be prepared for a workout, and for enormous artistic growth! Classes are ongoing, and entrance into the Workshop is by interview. For further information, check the FAQ's page. What started out as an evening of scenes and monologues, has grown into an exciting two week festival of original, short one act plays. 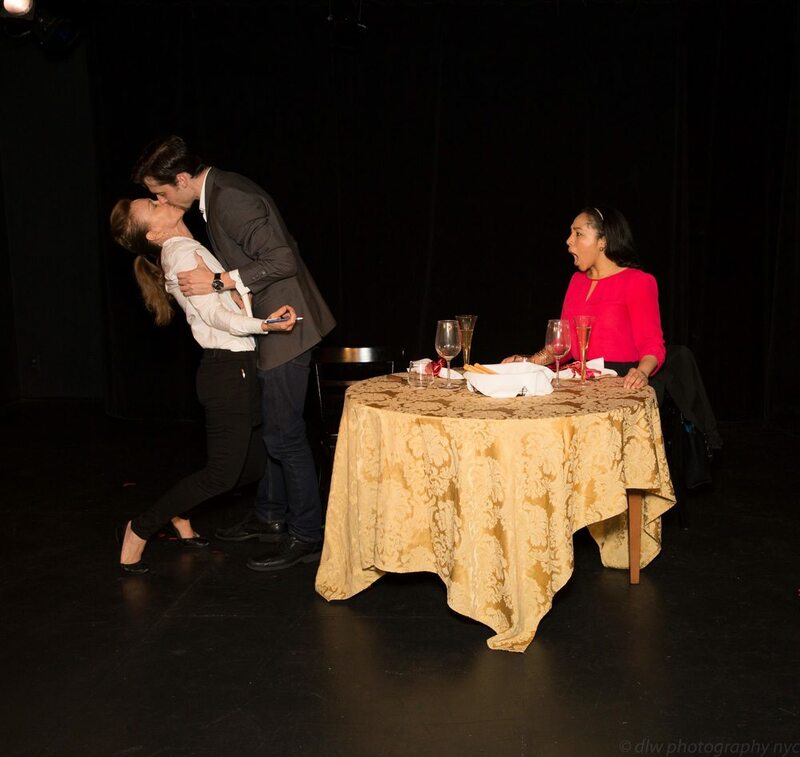 Our last showcase, produced in the heart of the theatre district, at the Roy Arias Theatre, represented the culmination of a search through over 300 plays that were submitted to the Workshop. From those plays, 8 were chosen, and 3 came from the Workshop, which as you can tell, means we are very selective with our choice of material. I always look, not only for great material, but also for great parts for our actors. After all, the purpose of the showcase is get the work out -- to have our actors seen by agents, managers, casting directors, as well as friends and family. It is a highly professional enterprise, with each production directed by actors from the Workshop. It is thrilling for all of us to have the many different productions rehearsing in and around Manhattan and finally coming together for our two week festival, where we play to consistently sold-out houses.